Mystery author Charlee Russo agrees to speak at a Portland writers’ conference organized by her friend Viv Lundquist. When Viv picks her up at the airport, she frantically explains that her daughter Hanna has been kidnapped. Unfortunately, Viv has a history of embellishing the truth and Hanna has a history of disappearing. Charlee takes over the conference preparation so Viv can search for her daughter, but the situation gets tense when the hotel double-books the event with a dog show. Despite it all, Charlee is compelled to investigate after she learns shocking secrets about both Hanna and Viv. Can she find Hanna in time, or will a plot twist lead her to a ruff ending? 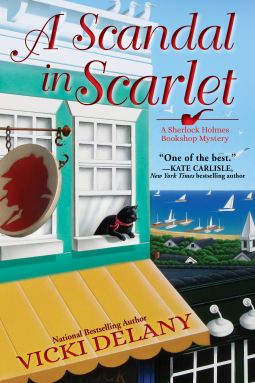 I’ve said this before, but I really do enjoy cozy mysteries. They’re generally light, fun, and quick reads, something to brush off the heaviness of a procedural or thriller. Foul Play on Words is no exception. Combining two of my favorite things – writing and dogs – into a novel is a surefire way to get me to read it. 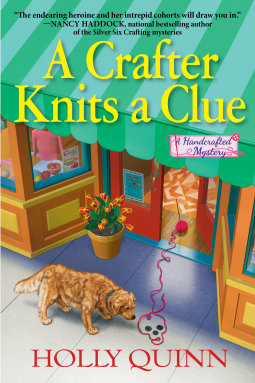 Charlee Russo, a mystery writer accused of murder herself not too long ago, is excited to join her long-time friend, Viv, at a writer’s convention in Portland. Minutes after landing, all her plans are trashed when Viv blurts out that her daughter, Hanna, is missing. While Charlee agrees to take over the prep for the conference, she also decides to do a little investigating of her own. Although a bit snappish and irritated at times, Charlee is a likeable character. Her investigative skills aren’t always the best, but she’s a writer, not a detective, so I can let that slide. She does have quite the imagination and her sense of humor often saves her from screaming. The addition of the double booking with a dog show added a lot of fun and colorful moments to the story. It was a great way to break up Charlee’s worrying – about both the conference and the kidnapping – as well as lightening the mood with some humor. My one complaint is that the supporting characters weren’t fully fleshed out so you’re not sure of their true motives or possible involvement. Charlee, however, is well-rounded and interesting and I’d happily read more in this series. 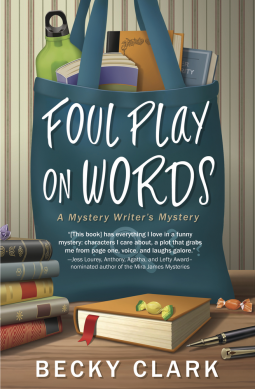 Foul Play on Words is a fun and lighthearted cozy mystery. It makes for a quick read that left me smiling. There is one character, however, that I’m wondering about. I’m hoping that maybe he’ll make an appearance in the next novel. Two chance encounters with him make me hopeful. Guess I’ll have to pick up the next one and see. *Thanks to Netgalley, the author, and the publisher for a copy of this book in exchange for an honest review. 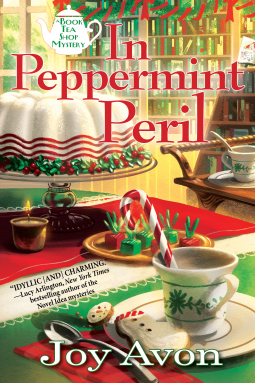 This Christmas, Callie Aspen returns to her childhood hideout Heart’s Harbor, Maine where her great aunt runs Book Tea, a vintage tearoom where every sweet treat contains a bookish clue. Upon arrival in the fairy-tale snowy town, Callie is drawn into the preparations for a special tea party at Haywood Hall, the rambling house of Heart’s Harbor’s oldest resident, rich but lonely widow Dorothea Finster, who invited her estranged relatives, old friends and the elite of the town to make a mysterious announcement about her will. I fell in love with mysteries by accident. A co-worker left a stack of paperbacks on my desk one morning and, among them, were two Alex Cross novels written by James Patterson. I was hooked after that. Then I discovered cozies and a whole new love was born.